This week we’ve got a lot of games that aren’t quite what you’d expect. 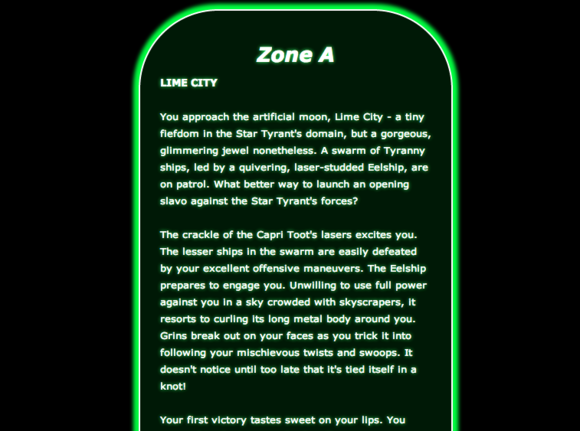 From a beautiful text adventure to a game about academic discrimination, this week’s games will have you expecting one thing and getting another. Except the first game; it’s just fun. Bet you didn’t see that coming. 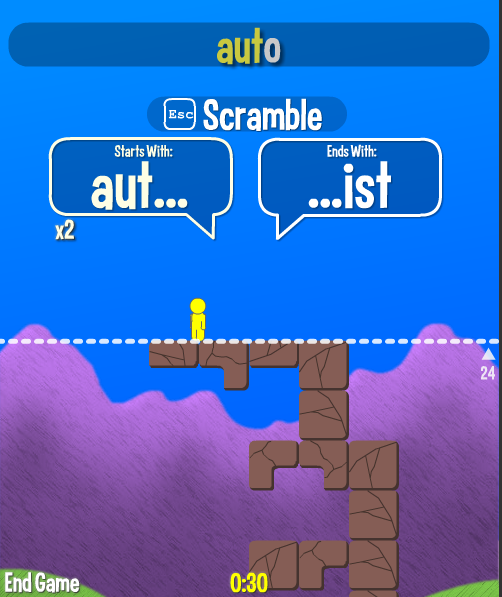 Proke is a language game about build a tower. It gives you the first three letters and the last three letters of words to choose from and lets you type in any word that fills those conditions. As you type in words you build your tower higher and higher, with bonuses for using both the beginning and end of a word at once and for using the occasional bonus letter that falls from the sky. Your only real opponent is your time limit, which makes the game a test both for your mind and for your typing skills. Pathfinder starts off as a time management game about doing research as a grad student. The game soon morphs into an exploration of the difficulties women and minorities face in academics. While the dialogue can occasionally be heavy-handed the game does a good job of showing how race and gender can limit opportunity. 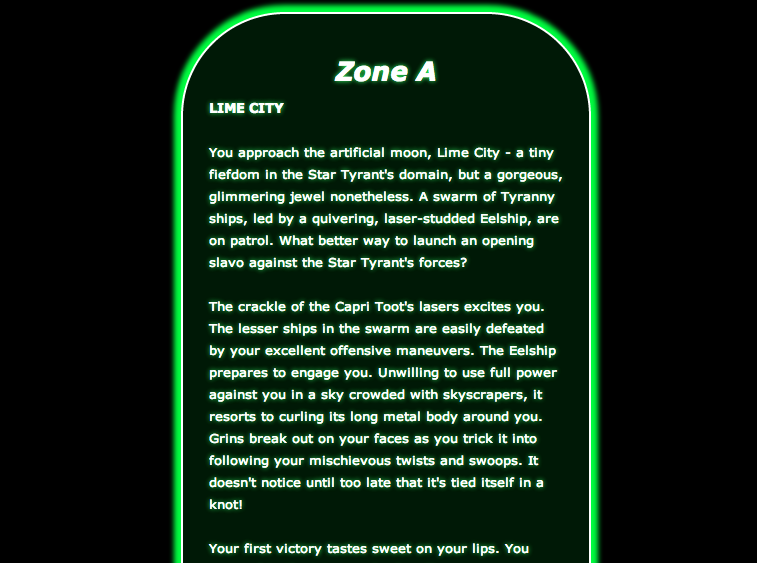 Capri Tooti isn’t the best written text adventure game you’ll play all year (though it’s pretty well-written) what’s amazing about it is that it’s probably the most beautiful pure text game you’ll see any time soon. There are no images to speak of, and yet with its UI and a few subtle effects the game is able to inject as much (if not more) personality than a lot of graphics-heavy indie games. Plunger is an action/puzzle hybrid game. To collect the various power-ups and beat the game you move around each level by shooting out horizontal and vertical plungers that let you move either left and right or up and down. As those plungers attach to walls and enemies they start using your plungers to climb up to and attack your character, making for a fast-paced game with some unusual limitations on your movement. Press X to Give Up is an odd little game with a great title since “press x to give up” is about the only explanation of what to do you’re going to get. You’re fighting a bull and attempting to lure it into a vulnerable position so you can stab it, but instead of giving you a health bar the game visually and audibly degrades every time you get gored.